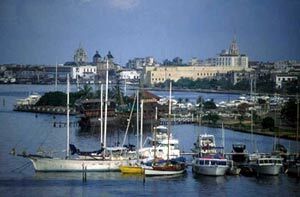 Cartagena, also known as Cartagena de Indias (Cartagena of the West Indies), is a large city seaport on the northern coast of Colombia. Capital of the Bolívar Department, it has a population of roughly 895,400 (2005 Census). Founded in 1533 by Don Pedro de Heredia, and named after the port of Cartagena in Spain's Murcia region, it was a major center of early Spanish settlement in the Americas, and continues to be an economic hub as well as a popular tourist destination.